We offer you to create a website with just one click in your topic of interest (construction, auto, legal services etc.). 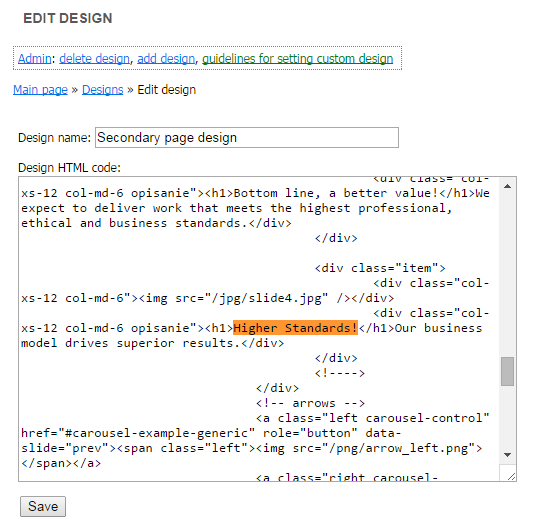 With this option every user can create a website with unique text content, selected and processed photos and images. This feature is optimal for users who wish to create websites automatically to professionally represent their business in the Internet. 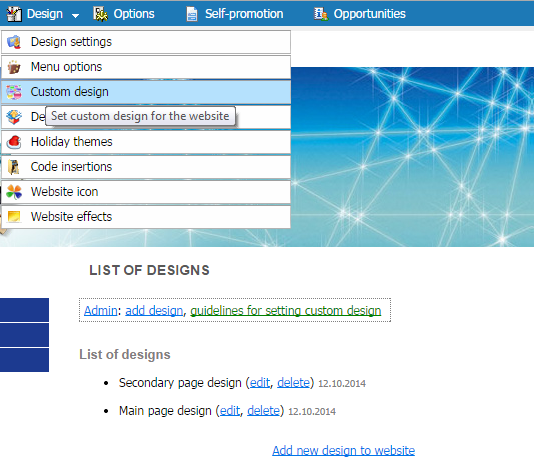 Click on the "Design" tab in the website management system, and then choose menu item "Design templates". Important! 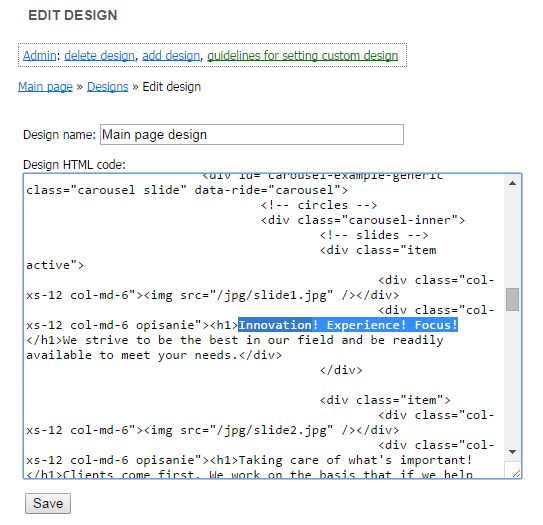 Before activating design templates, make a backup copy of your website. A backup copy may be useful in case you will want to return to the original website version before the design templates activation. 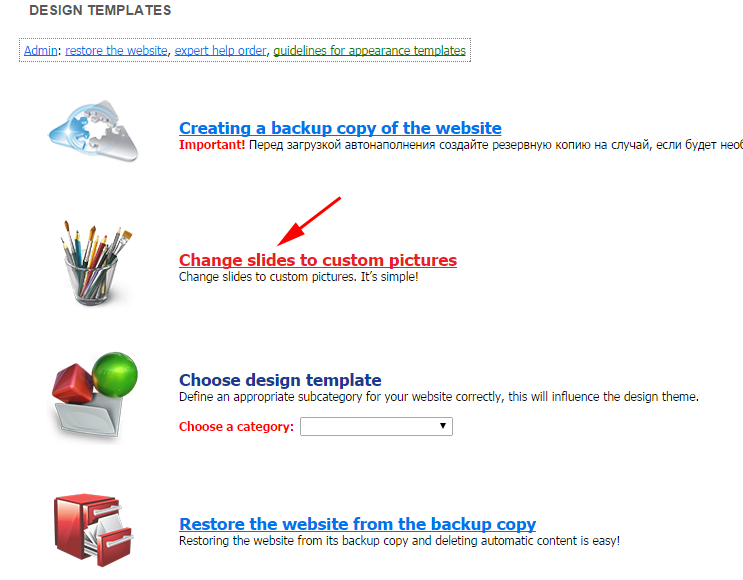 After the backup copy has been made, choose the design template for the website. Design template is based on the directory in which the company is located. In our example, the company is located in the "Cafés and restaurants" catalogue. If you need to change the directory, go to "Options" – "Basic information about the company" – "Catalogue" – "Change catalogue" – click the "Save" button. 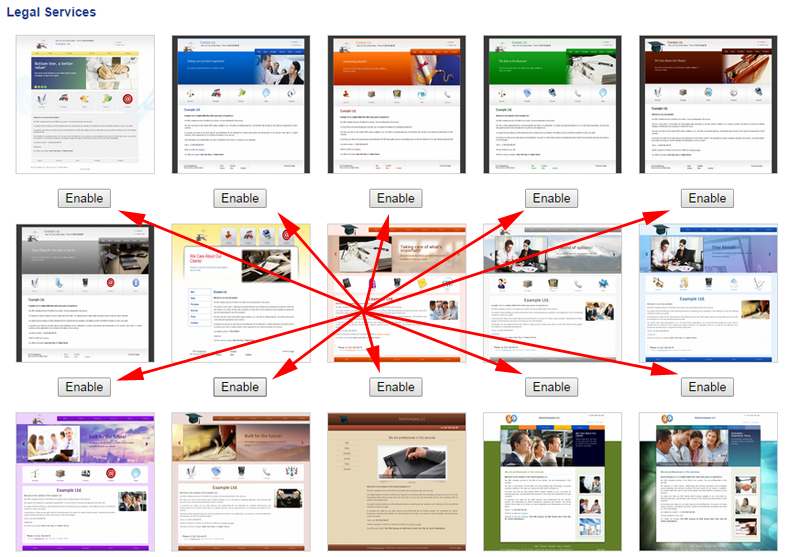 You can shape your website using design templates that are developed specifically for various lines of business. If the website contents are minimal or none when using design templates, then system will add not only photos and images, but also texts for various pages. Please pay attention – text for website pages is created programmatically and has a high percentage of uniqueness. Important! 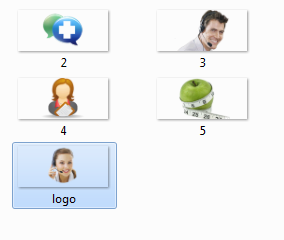 If you have enabled design template, you can log into website management system by using this link: websitename/admin.html (for example, http://www.demo.newyorkp.com/admin.html). To edit and change slides, in the website management system go to "Design" – "Design templates" - "Change slides to custom pictures". To upload your photo or image use the link "Upload your picture for the slide", choose a file on your computer and click on "Upload". The image must be in JPG format. Recommended image size: 490px (width) x 303px (height). If you are uploading different size image, the system will modify it to fit the slide size. To choose the image from catalogue: "Design" – "Design templates" – "Change slides to custom pictures" – "Choose picture for slide from catalogue". Click on the image you like and it will automatically be set for slide 1, 2, 3 or 4 accordingly. Please bear in mind, that in the opened window with the new slide pictures, slides begin with the first one and change in the numerical order. If you uploaded a picture for slide number 3, then you will see it third. To change the slogan or text under the slogan, go to "Website management system" – "Design" – "Custom design" – "Main page design" – "Edit". Log into the website management system by the address http://www.websitename/admin.html, in our case the address is http://www.primer.mpi.ru/admin.html. A page with all files that are uploaded on the website will open. Format PNG24 - transparency 90%. 2. File that is going to replace an existing image in the website must have the same name as the existing image, in our case it must be logo.png. 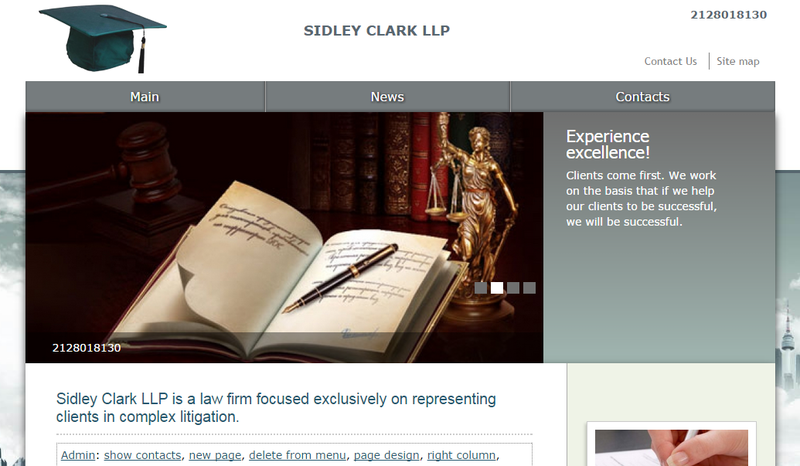 Don't forget about the image parameters 200px (width), 91px (height), PNG24 - transparency 90%. 4. Upload the file that is named logo.png from your computer. 107px (width), 91px (height), format PNG24. Upload the image with correct file name to the website ("Content" – "Upload pictures, documents, files" – "PNG Pictures") after deleting the existing image that was used in the menu, and the picture will be changed automatically. 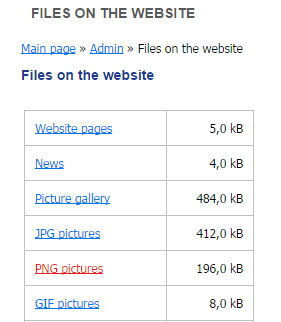 In the website management system go to "Content" – "Picture gallery". You have opened the picture album and can see all the photos that have been uploaded into the album. 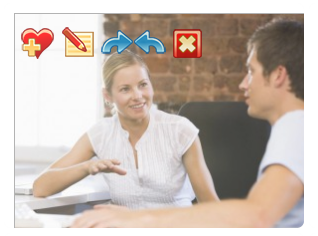 Use the buttons on the images to delete or edit the images. Add new photos. The more detailed explanation on picture galleries can be found here.